Despite the emergence, growth and popularity of scleral lenses there’s no doubt that corneal lenses remain a very important technology that’s not going away anytime soon. The unique characteristics of corneals have served millions of patients and their practitioners extremely well for many years and play a pivotal role in many practitioner’s day-to-day problem solving toolkit. 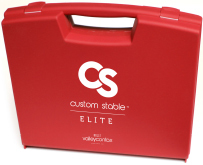 Reflecting on these points we thought it would be refreshing to use this issue of Custom Stable Spotlight to discuss a few corneal lens designs that we offer, what their strengths are and how you might find them useful. Since 1981 Valley Contax has been an industry leader in the development, support and advancement of specialty GP lenses. Our portfolio of corneal lenses includes solutions for post surgery, multifocals, single vision and keratoconus. I want to highlight two of these designs, in particular, that we are very proud of, our Golden Eye AFM and Lasik Near. The Golden Eye Aspheric Front Multifocal (AFM) is designed for today’s vision demands. It is a seamless center distance progressive multifocal that is as easy to fit as any corneal GP. The Golden Eye AFM is recommended in a large diameter 10.0-11.0 to achieve the magic combination of comfort and centration. The beauty of the lens is that all of the fitting characteristics are on the back surface and the optics on the front. Manipulate the fit or the optical power 100% independently. 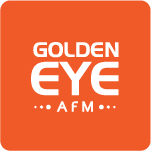 The Golden Eye AFM is designed for normal corneas however the Bi-Toric AFM is cut a little smaller in diameter and is tremendously successful with the high astigmat. 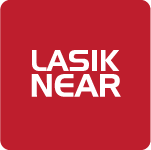 The LASIK NEAR employs the same front surface optics as the traditional Golden Eye AFM, however it is designed to fit on the post lasik, oblate cornea. This lens works incredibly for those patients that did not want to wear glasses in their 30’s, and certainly don’t want to wear them in their 40’s! Valley Contax is always pushing to achieve the best possible results from each and every one of our lens designs and our line of corneal GP’s are a shining example of that effort. To further investigate and explore the LASIK NEAR and Golden Eye AFM, as well as our entire portfolio of lens designs, we encourage you to visit our website at valleycontax.com. As always, if you have questions about any of these products, don’t hesitate to reach out, we’re always happy to help. Order a 14 lens fitting set of our Golden Eye AFM or LASIK NEAR designs at the discounted price of $200 and we’ll give you your first pair free! Plus if you’re not completely satisfied, return the fitting set within 60 days for a full refund! Call, email or chat live via our website to take advantage of this amazing offer!